Unveiling plans for Rs 10 lakh crore investment in highways and shipping sectors by 2019, Union Minister Nitin Gadkari today said the face of India's basic infrastructure will be changed in five years. "My endeavour is to do work worth over Rs 5 lakh crore in highways sector during my present tenure. Another Rs 5 lakh crore will be invested in the shipping sector taking the investments in both the crucial infrastructure ministries to Rs 10 lakh crore," Road Transport, Highways and Shipping Minister Gadkari told PTI in an interview here today. "I am sure this will change the face of the basic infrastructure in the five years as projects have already been fast-tracked while concerted efforts are on to remove all bottlenecks," he added. Known as "flyover man from Maharashtra" for building a network of flyover in the state besides constructing the Mumbai-Pune Expressway during his stint as state's PWD Minister, Gadkari said he was committed to overhauling the infrastructure of the capital as well as of the country and visible changes will be there. "It is my commitment to overhaul infrastructure. My first duty is to build 30 km of roads a day and by the March-end this year, we will achieve the target of 15 km a day from 2 km a day in the previous regime. By March 2016, we will touch the target," he said. He added that the focus was also on rolling out stalled projects, bringing equity, allotment of terminated schemes, streamlining work and fast-tracking clearances. Exuding confidence that the infrastructure will get good allocation in the upcoming budget, he said: "funds have never been a problem in his Ministry as efforts are on to bring PPP investment, FDI, involve pension funds and attract foreign funds." "Our annual toll collection is Rs 10,000 crore and in two to three years it will go up to Rs 13,000 crore. If we securitise it for 15 years, we will get about Rs 1.5 lakh crore. "Besides we have income from ports and Shipping Corporation in dollar terms. We are trying to get pension fund. NHAI can raise tax exempted bonds worth Rs 50,000 crore," he said elaborating plans to generate funds. Despite a plethora of problems in the first year the Ministry has initiated works worth Rs 1 lakh crore and the problems are now getting reduced, he said. 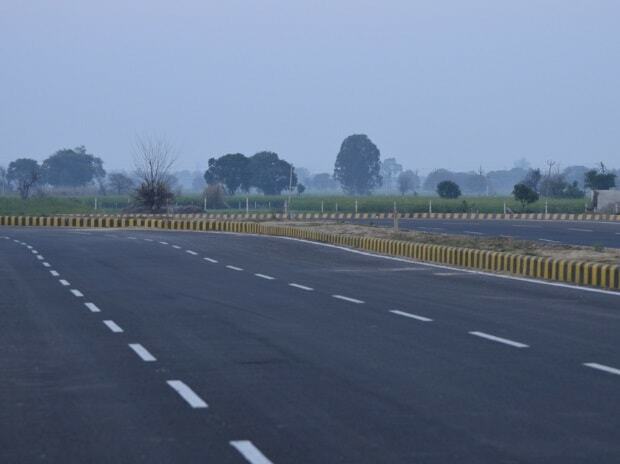 On the anvil is converting Delhi-Meerut highways into 16-lanes, besides completing Delhi-Jaipur highways by June this year. "We have approved ring road project for Delhi entailing Rs 6,000 crore investment. In a month work will begin," he said. He said that the Ministry is also conceptualising plans to build a road network on the pattern of those in advanced nations like US where people can drive 1,000 km in six hours. "Can we create such express highway network? We are trying. It is in our vision," he said. Apart from highways sector, the Ministry has ambitious plans to convert 101 rivers into waterways.